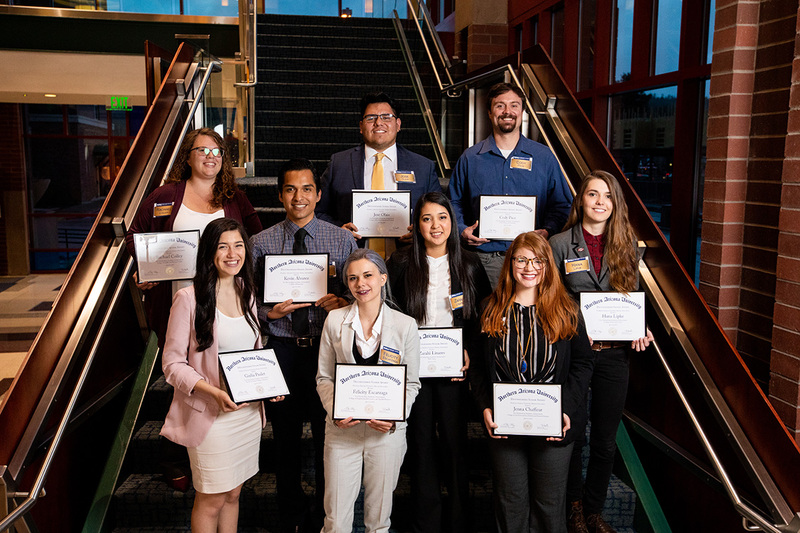 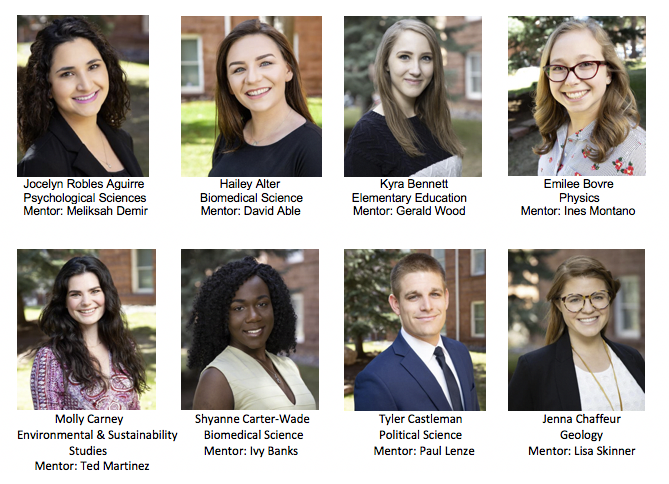 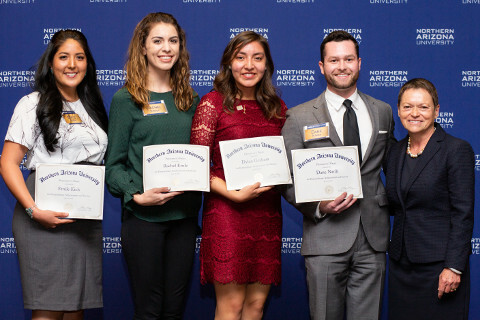 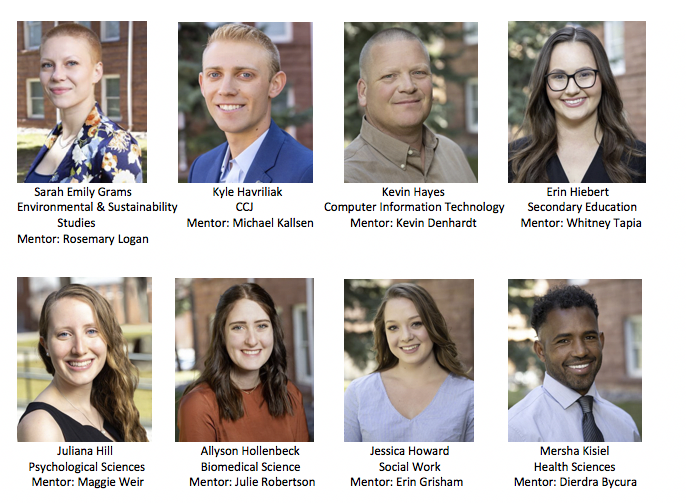 Recipients of the President’s Prize, which is the most prestigious award for undergraduates at NAU, were chosen from among the Gold Axe winners. 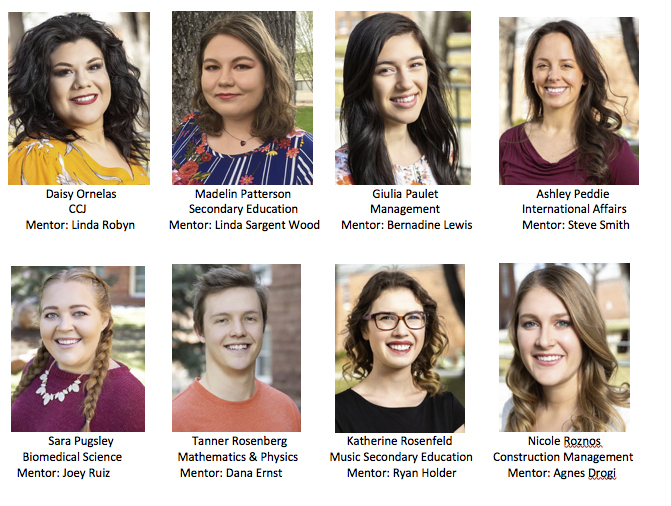 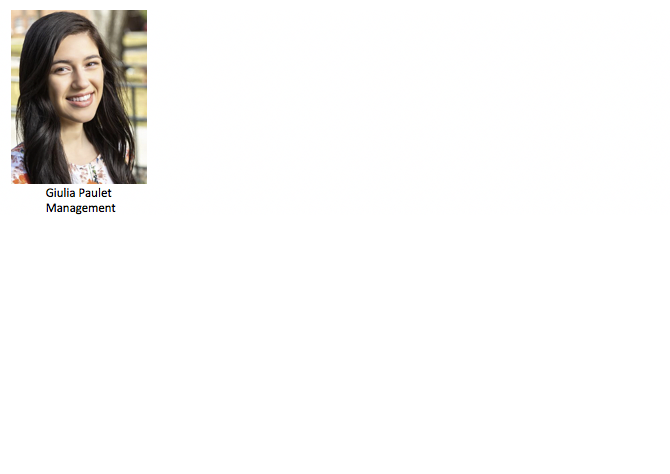 They are Emile Eich, a psychology student who overcame an identity struggle as she competed first to be Miss Indigenous NAU and then Miss Indigenous USA; Rachel Ernle, a first-generation student who spent her college career mentoring other first-gen students and now plans to become a speech language pathologist for people with autism; Dylan Graham, who spent her first year struggling with food insecurity, too shy to raise her hand in class and last year was elected ASNAU president; and economics student Dane Nardi, who came to NAU to prepare to be a doctor and instead found his passion in business. 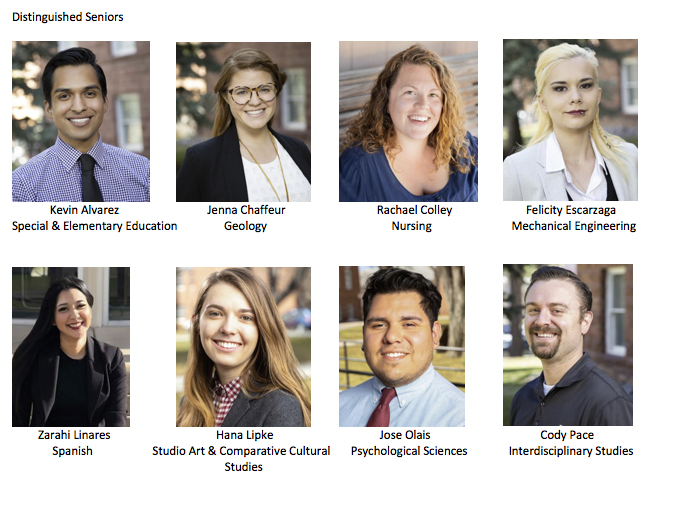 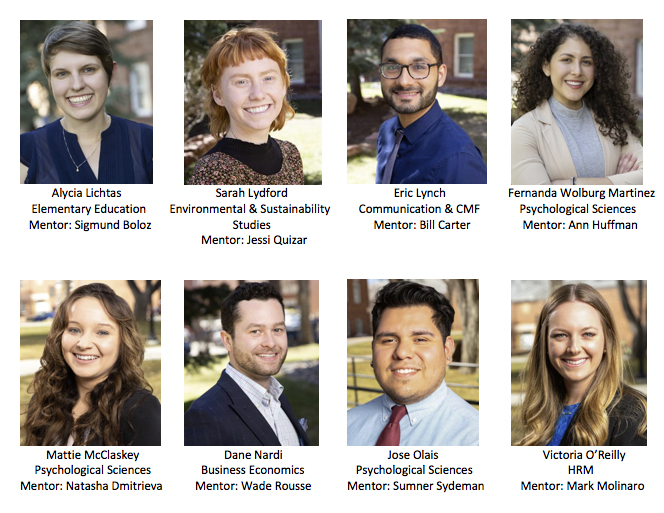 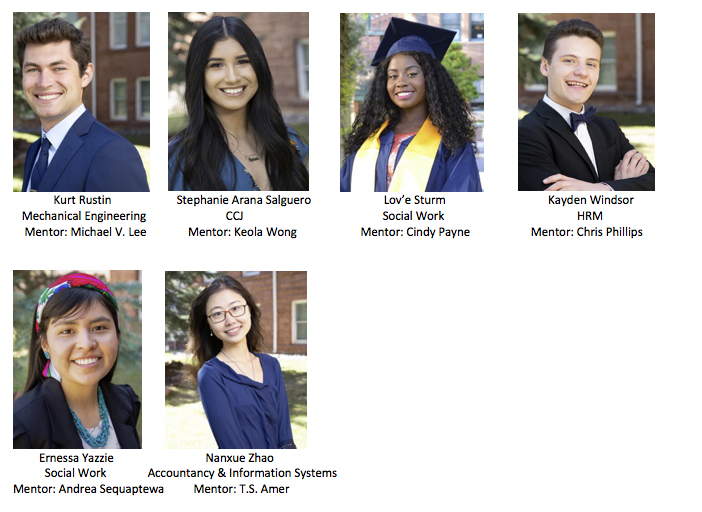 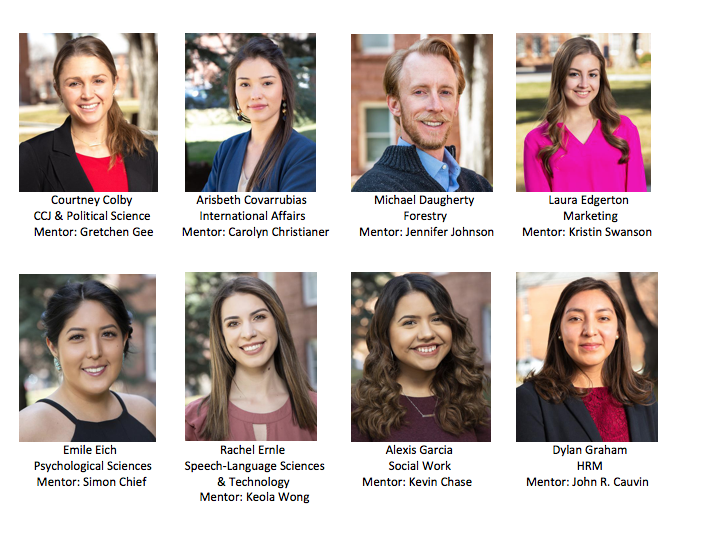 The distinguished seniors, who each college selects from its graduates, are Hana Lipke, Kevin Alvarez, Felicity Escarzaga, Jenna Chaffeur, Rachael Colley, Jose Olais, Cody Pace, Zarahi Linares and Giulia Paulet. The tradition of the Gold Axe Award dates back to 1933, a year after the student body adopted the axe as the symbol for Lumberjack athletics. 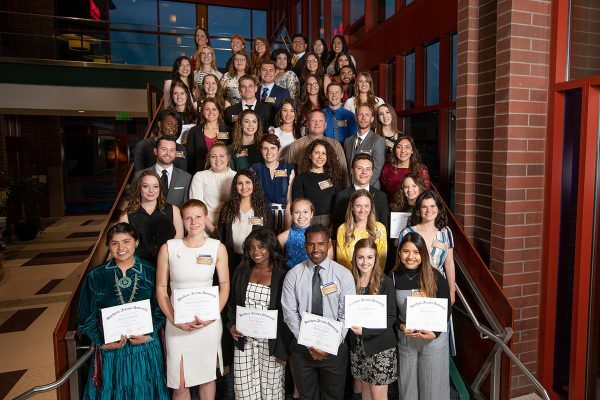 NAU adopted the tradition of awarding small gold axe pins to outstanding members of the student body. To this day, the gold axe pin is considered the official emblem of the Associated Students of NAU and is presented each semester to recognize students’ outstanding achievements and distinguished service to the university and the greater community.